It is a beautiful fall Wednesday here in Atlanta. The leaves are changing to lovely warm colors and it is in the mild mid 70’s. Delightful! 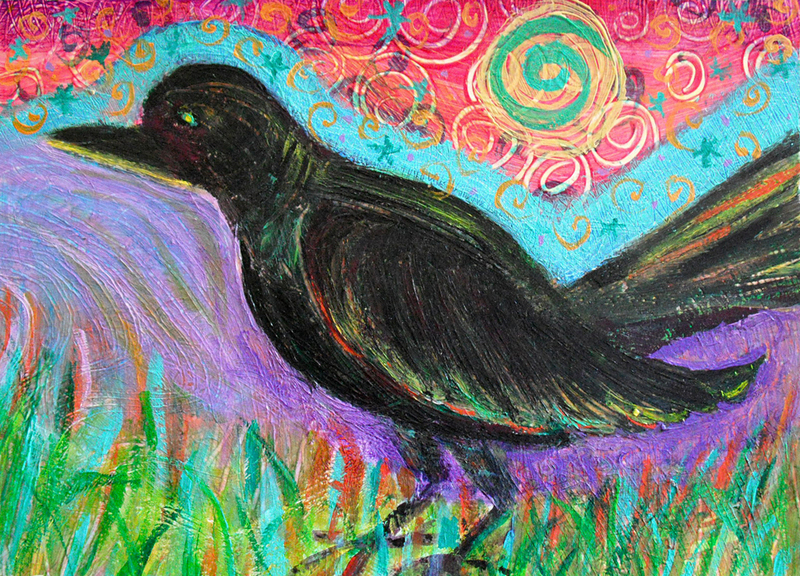 Here is another crow painting of mine. I like this painting, even though it is acrylic on watercolor paper it reminds me of crayon drawings that children create in elementary school.